Get your thinking caps on! 2012 is the Guild's 30th year and we are planning a number of celebratory events. All members are invited to apply their creative talents to create a catchy and relevant slogan OR to design an image to be used as a 30th year logo. Or maybe you are inspired to create both! Full details and an entry form will be in the August issue of The Template, but you are encouraged to start thinking now! The closing date for entries is 28 September and the winner will be announced at the Annual General Meeting on 15 October. And there's a prize - one year’s free Guild individual membership, free entry for up to two quilts into the 2012 Sydney Quilt Show, a five-day pass to the 2012 Sydney Craft and Quilt Fair, a ticket to the 2012 Exhibition Dinner and a free quilt valuation. What a great incentive to enter! Everyone is invited to support the National Breast Cancer Foundation by decorating a bra. All bras will be displayed in the foyer of the Glen Street Theatre during the Breast Wishes season in September 2011. The maker of the winning entry will receive an Estee Lauder gift pack and two tickets to see this uplifting musical, Breast Wishes. So join the fun and celebrate breasts (and those who support them!). There will be a silent auction of the decorated bras during the show's season, with all proceeds going the the National Breast Cancer Foundation. Enquiries: Anne Looby, by phone 0418 476 191 or email. Due to the preparations for the Sydney Quilt Show, there will not be a Friday Showcase in June. Join us at the next Friday Showcase on 1 July to see Kay Haerland's fabulous quilts. The next Sewing in the Office event for Community Quilts is on Monday 23 May 10.30am-2pm Bring along your sewing kit and join in the fun. For further information contact Maree Gebhardt. 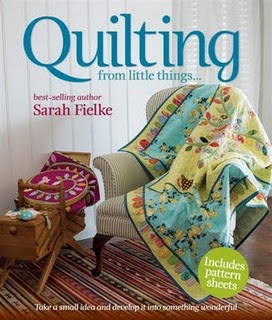 Congratulations to Guild member Sarah Fielke whose new book Quilting: from little things... has recently been published by Murdoch Books. 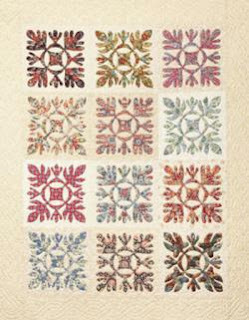 The book includes instructions for twenty quilts - ten pairs of small quilts and large quilts. Each pair showcases a different technique, so that by making a small quilt first you can become comfortable with the technique before committing to making a large quilt. Congratulations Sarah! The Rajah Quilt, sewn by convict women as they sailed from England to Tasmania in 1841, is currently on display at the National Museum of Australia in Canberra. It is part of the exhibition Not Just Ned - a true history of the Irish in Australia. Infrequently displayed, the Rajah Quilt is one of Australia's most important textiles. The exhibition continues until 31 July. For more information, phone the National Museum of Australia on 1800 026 132. 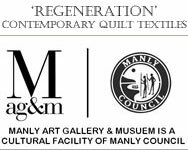 The New Quilt exhibition has been hosted by Manly Art Gallery and Museum in collaboration with the Guild for the past twenty years. For the twenty first year, it was agreed that a new vision for the exhibition be achieved. To this end, a decision was made to have a curated, themed exhibition with specific, visual selection criteria as the basis of being accepted into the exhibition. This is a move away from the past and it is hoped that it will offer opportunities for all textile artists to enter a quilt. All quilts must be proposed new work. A 100 - 150 word statement, outlining the artist's response to the theme, "Regeneration". Details of the design progression and colours, including sketches and drawings. Up to five (5) images of previous works. 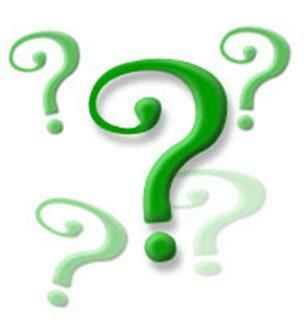 A non-refundable entry fee of $45.00 must accompany your entry, which covers up to two (2) quilts. Completed and signed entry forms, including the six (6) requirements. The closing date for entries is 25 July 2011. Selection will be made on the basis or originality and innovative use of media. The curator's decision will be final and no discussion or correspondence will be entered into. Entrants whose work has been accepted will be notified by mail/email and informed of delivery instructions. Theme - Hexagon quilts - bring along yours to share! You can download the complete list of New Library Additions. The Quilt Study Group of NSW is a Guild sub-committee that promotes interest and research into quilting, particularly in Australia. The next meeting will be held on 7 May, 2-4pm and will include afternoon tea. This meeting will include reports from Annette Gero, Karen Fail, Sandra Lyons and Liz Bonner on their project documenting quilts at the Powerhouse Museum in Sydney. Judy Day presents Friday showcase at the Guild office at 10am on Friday, 6 May 2011. All welcome! ($5.50 entry fee).